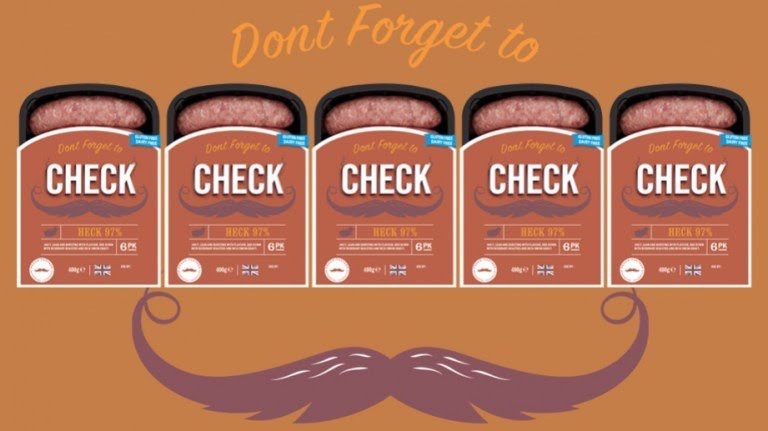 Yorkshire-based sausage brand Heck, is working alongside The Movember Foundation. The Movember Foundation are the world leading men’s health charity. HECK have renamed themselves as CHECK for the duration of November, in order to encourage men to search for lumps on their scrotum and prevent men from dying from testicular cancer. The main reason for Heck’s involvement is due to the company’s founder Jamie Keel personal experience of the cancer two years ago. The research shows a high lack of knowledge among both men and female partners who admit they would not know what a cancerous lump would feel like which is a pretty scary result. Further research results can be read on the Heck website. Heck sent me over some packs of their sausages and asked me to create a dish which combines meat and two veg. Meat being the sausages. Now I don’t mind the odd sausage now and then, but I’m not usually overly big on them. That’s because I’d never tried Heck sausages before. 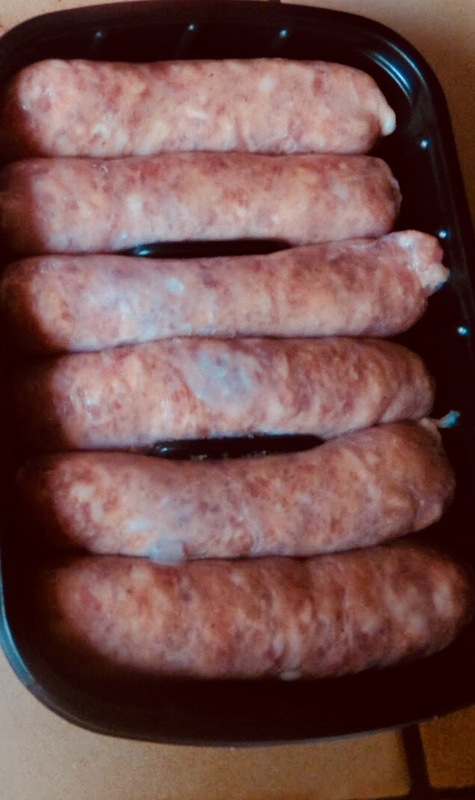 Their 97% pork sausages taste so different to the usual cheap crap that they don’t taste like sausage at all. These are so full of succulent juicy flavour that I know I’ll be buying more. This is our meat and two veg creation, kept simple as I have fussy kids. 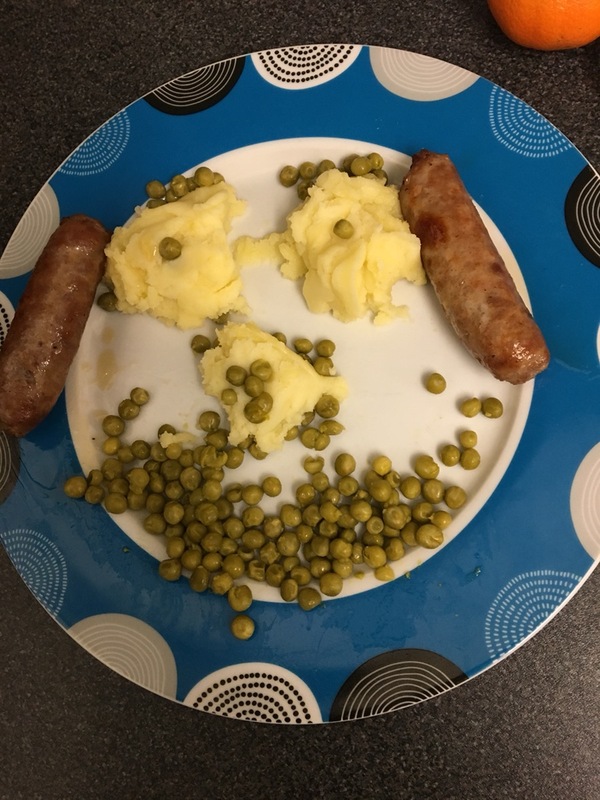 I used peas and potatoes which I mashed. Gravy added after this was taken and yes my daughter has attempted to make a face here. The sausages were enjoyed by all four of us which is a rarity that we all enjoyed the same thing at meal times. Of course the message being to check and get checked.